Form and function combines to create the Betty Elite Armchair from the luxury furniture collection by Daytona. Inspired by the curved lines and glamorous aesthetic of the art deco period, this armchair will make the perfect addition to a reading corner or bedroom suite. 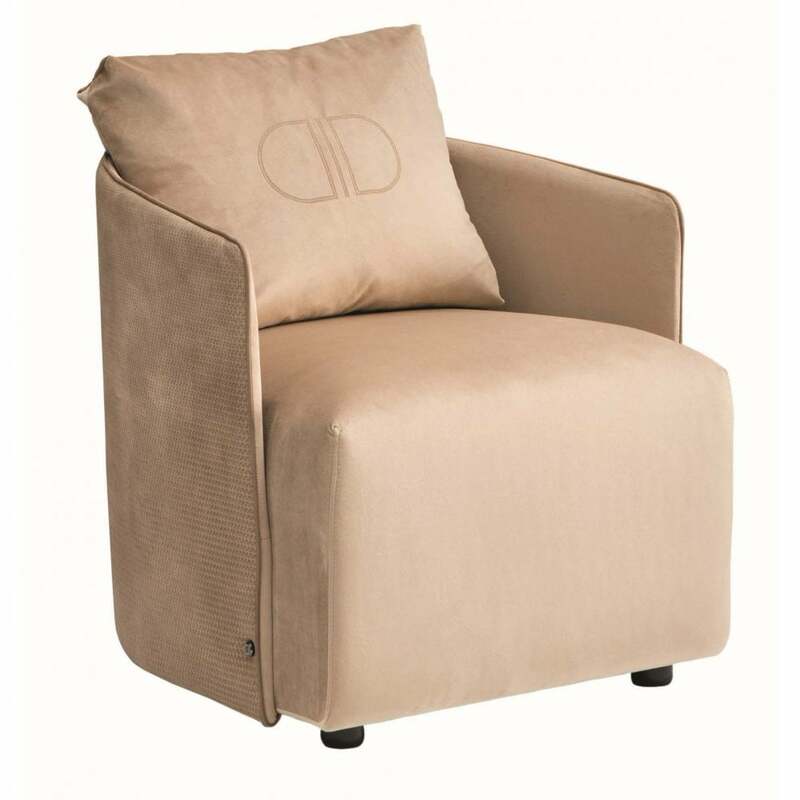 The backrest and shell are upholstered in a soft suede with a jubilee print and buttons on the bottom. The armchair and shell can be made in a variety of high quality fabric, leather or nubuck leather. The strong plywood structure is hand-crafted with a layer of multi-density rubber and an all over upper layer of goose down for maximum comfort. Style with contrasting textures of marble and brass to add depth and interest to your interior scheme. 100% Made in Italy.